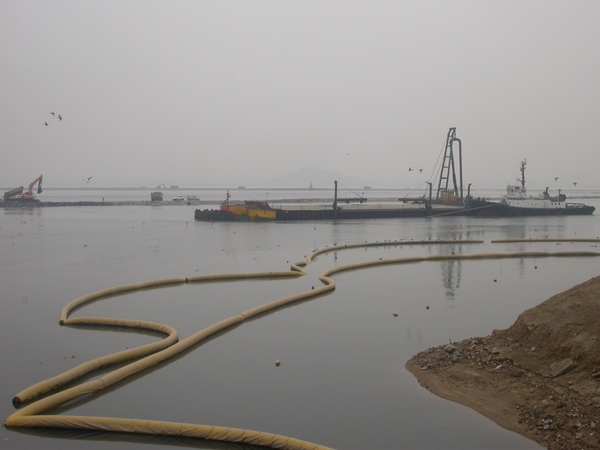 Song Do: yet another internationally important wetland being lost to “reclamation”. Image © Nial Moores/Birds Korea. Following another VERY long drive, early morning at Cheorwon revealed apparently increased numbers of White-naped Crane along with the overwintering Red-crowneds. As the day progressed, we found probably four Solitary Snipe at the arboretum (where still very passerine-poor); while at Song Do, highlights in this much-degraded area included 202 Saunders’s Gull, 1200 Eurasian Curlew, 150 Far Eastern Oystercatcher, c. 2400 over-flying Baikal Teal, and best of all two first-winter Relict Gull. Those claiming that there are new and improved policies in the ROK for wetland conservation need to visit this internationally important site (now largely impounded) and of course Saemangeum too. Following on from another extremely long drive, the morning started well at Gangneung, with excellent views of Siberian Accentor and short though decent looks at a possible female-type Canvasback or hybrid/odd Pochard (found and photographed here a few days earlier by local birders). 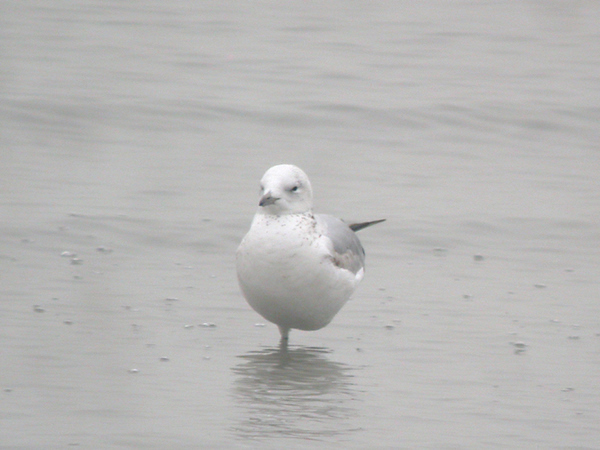 This is a species that is regularly claimed in the ROK (with a flock of 14 on January 10th 1994, and 36 reported nationwide in 2003 during the Ministry of Environment’s annual winter bird census), even though to date there appear to be no ROK photographs of the species. On structure, the bird looked “very good”, being larger than accompanying Pochard in direct comparison, with an apparently proportionately bigger head, longer neck and bill. However, as can be seen in the excellent images taken by Dr. Shim Kyu-Sik a couple of days earlier, the same bird also shows some blue-grey on the bill (perhaps within range of Canvasback? 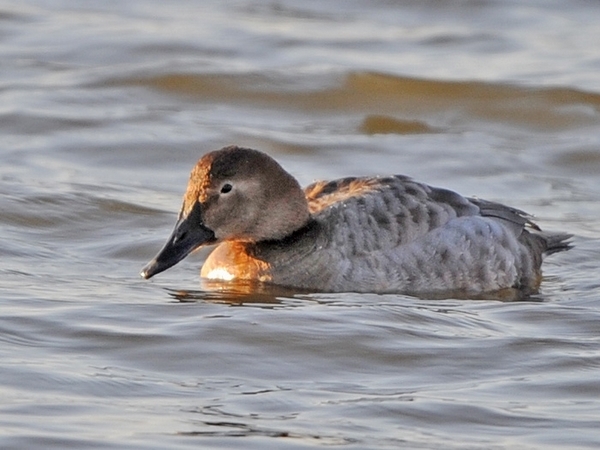 ), and unexpectedly heavily-mottled flanks – with the bird at most angles not appearing obviously paler than Pochard. One or two images of the bird showing the upperwing seem also to suggest more contrast than usually shown by Canvasback. Informed opinion on this bird’s identity, including by birders familiar with suspected hybrids, would be much appreciated! From there, northeast up the coast, with three Steller’s Sea Eagle and Long-billed Plover at Yangyang, and off Hwajin Po, several hundred Ancient Murrelet, at least two Yellow-billed Loon, several Spectacled Guillemot and a close encounter with a Brunnich’s / Thick-billed Murre off Hwajin the obvious highlights. In beautiful but chilly weather, excellent views of a couple of adult Steller’s Sea Eagle on the Han River (where also a Naumman’s Thrush) before a long drive down to the Geum Estuary via Seosan (where several Hooded Crane). 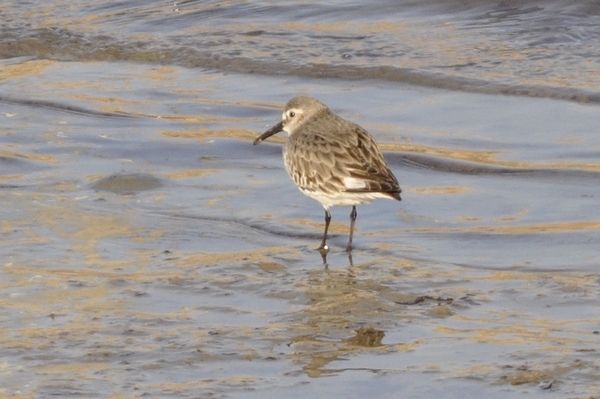 At the Geum, the hoped-for Swan Goose flock was watched well in cold sunshine – where there was also a strikingly small and rather short-billed, straight-billed Dunlin (an atypically small individual, or perhaps, based on descriptions in a Pavel Tomkovich paper from 1986, one genuinely from Sakhalin?) and a pair of Falcated Duck. While there were no Baikal Teal on the Geum River, scanning through a flock of feeding dabblers near the estuary found one glossy-headed male and perhaps a couple of females, before the long drive back north. 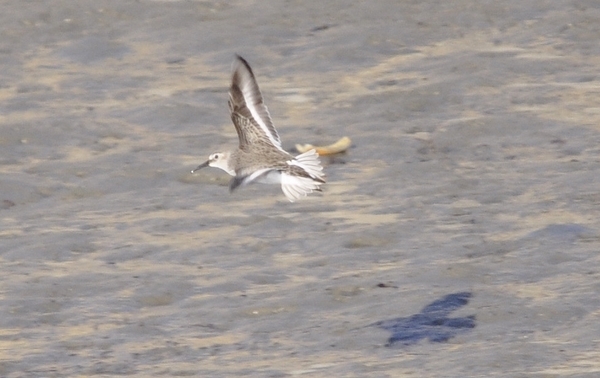 Feb 19, strikingly small Dunlin Calidris alpina, on ground and in flight, Geum Estuary. Images © Andrew Ashworth. 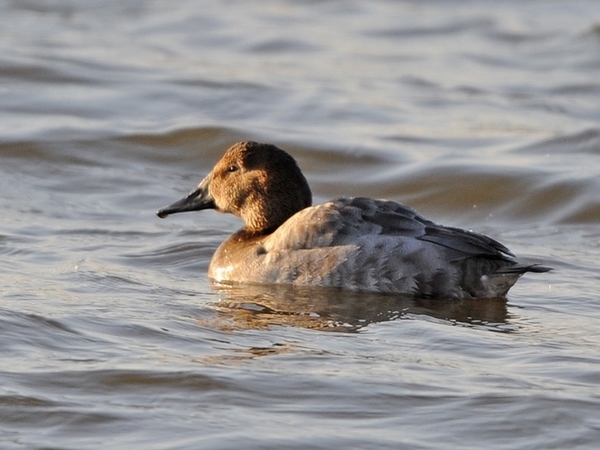 Feb 20, Canvasback, hybrid or odd Common Pochard? Images © Shim Kyu-Sik. 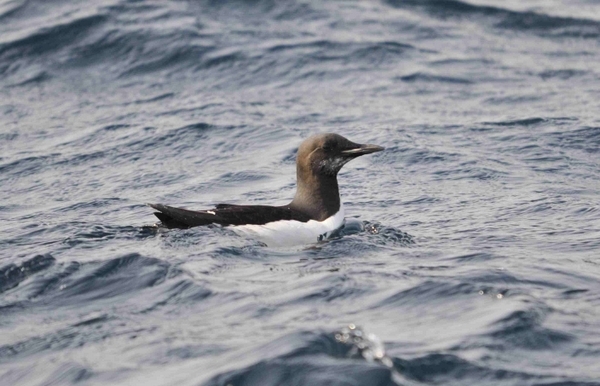 Feb 20, Brunnich’s/ Thick-billed Murre Uria lomvia . Image © Andrew Ashworth. 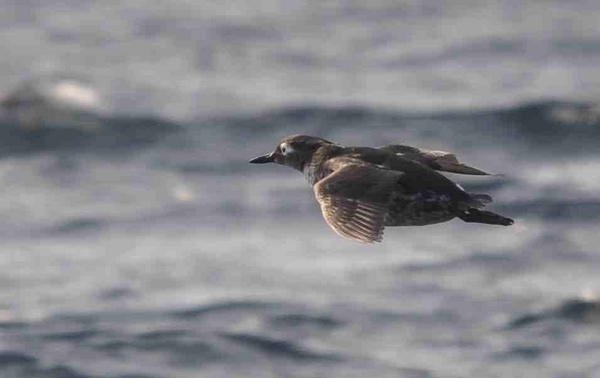 Feb 20, Flying Spectacled Guillemot Cepphus carbo. Image © Andrew Ashworth. Feb 21, Relict Gull Ichthyaetus relictus, Song Do. Image © Andrew Ashworth. 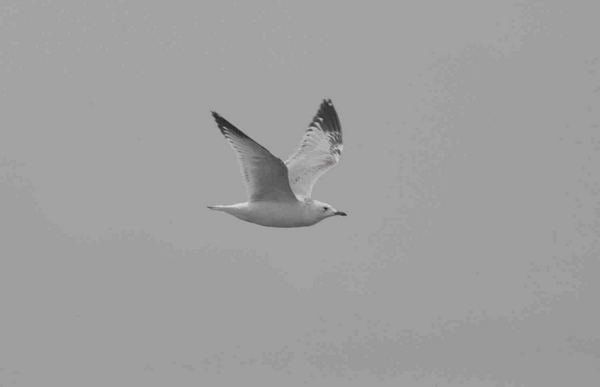 Feb 21, Relict Gull Ichthyaetus relictus, Song Do, Image © Nial Moores/Birds Korea.